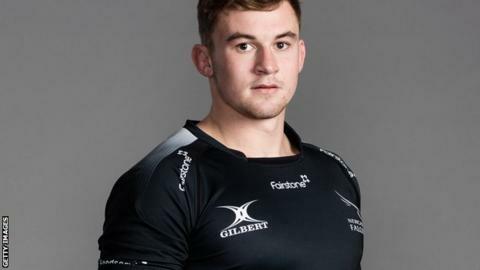 Newcastle Falcons lock Will Witty has agreed a new deal following his first start for the club last weekend. The 21-year-old made his debut as a replacement in the 2014-15 European Rugby Challenge Cup and has since featured in three Premiership games. "The club is going to quite good places and there is a lot to come. I'm really excited" Witty told the club's website. Falcons have also announced that Italy international Joshua Furno, 26, has joined Pro12 side Zebre. Having joined the club last year, Furno has only had limited opportunities this season. Director of rugby Dean Richards said: "Injuries unfortunately meant that we never really got the chance to see the best of him." On the signing of Witty, Richards added: "Will is a very talented young player who has impressed in his appearances so far. We should all be looking forward to seeing him do more of the same."